The Pilot Communications field radio can be found with two different hinge types, just like the Marine Communications and Army Command Post field radios. 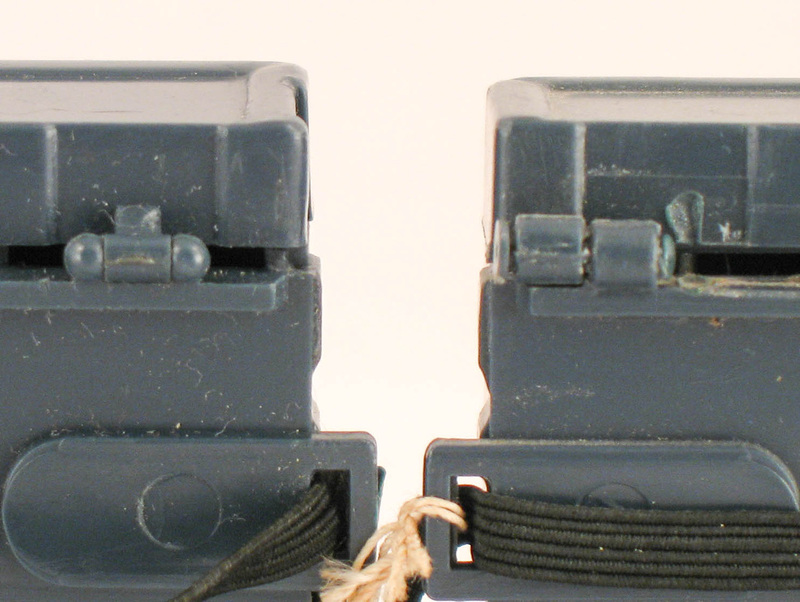 The earlier version show near left has so-called 'pill-box' hinges, the later version a pinned hinge (far left). The earlier hinges were more easily broken and are consequently harder to find.